The Greens Residence I is situated behind the Be Live and Iberostar Hotel in Saidia Marina, it consists of 67 stunning apartments within 4 low rise apartment blocks, sat in wonderful gardens, 1 large and 1 children’s swimming pool, onsite parking and easy access to the Saidia beach. 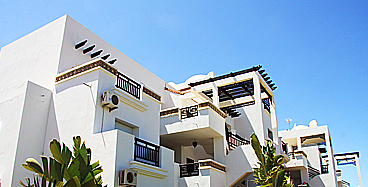 The Greens Residence II is situated behind the Iberostar Hotel in Saidia Marina; it consists of 49 stunning apartments within 3 low rise apartment blocks, sat in wonderful gardens, 1 large and 1 children’s swimming pool, onsite parking and easy access to the Saidia beach. The Greens Residence I is situated behind the Be Live and Iberostar Hotel in Saidia Marina, it consists of 69 stunning apartments within 4 low rise apartment blocks, sat in wonderful gardens, 1 large and 1 children’s swimming pool, onsite parking and easy access to the Saidia beach.